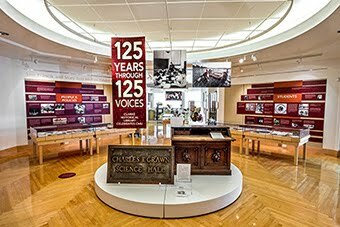 At the Clarke Historical Library, we work diligently to preserve information of the past for future generations of researchers. A major aspect of the preservation of manuscripts and archives is keeping track of documents’ provenance or their “origins, custody, and ownership” as the Society of American Archivists defines it. For instance, the Clarke knows all of the information about how the Senator Robert P. Griffin Papers were transferred to us or that the 1810 edition of La Fontaine’s fables in our holdings is from the library of Father Gabriel Richard, a priest at Saint Anne’s in Detroit who brought the first printing press to Detroit and helped to found the University of Michigan. But sometimes, the provenance of documents, especially documents that were acquired nearly 60 years ago, before the time of electronic databases and searchable e-mail correspondence, is not as robust as one would hope. Such is the case for the provenance of the John Greenleaf Whittier Papers. Whittier (1807-92) was a noted nineteenth century poet, essayist, and abolitionist from New England. He was also a prolific letter-writer and, in turn, received a great deal of correspondence. 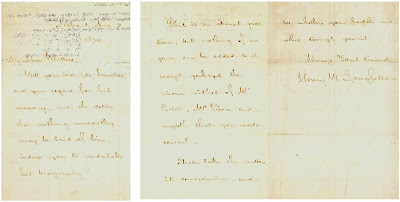 The collection held at the Clarke is a group of nearly five hundred letters sent and received by Whittier as well as several poems and other documents about him and his career. The Clarke is not the only location of Whittier papers. Other institutions, including the New York Public Library and the Peabody Essex Museum, maintain files of Whittier correspondence. When working with the materials at the Clarke, the question arose: How did these items, belonging to a well-known New Englander, whose other papers are at various East Coast institutions, make it to Mount Pleasant, Michigan? With one question in mind and an ocean of resources before us, Clarke staff set out to solve this mystery. Generally, it takes less than five minutes to find the answer about how the Library came to possess something. Staff can use an acquisitions control file and match the collection identifier with the control file to produce an answer. In the case of the Whittier papers, the identifier indicates that they might have been added to the holdings of the Central Michigan College Library (it was not a university at the time), before the Clarke ever existed. This means the Clarke files would not include a record of how the letters made their way to Mount Pleasant. If we were uncertain how the documents came to Mount Pleasant, the next step was to try to find out how they left New England. It was discovered that at least one of the letters in the Clarke holdings was reprinted in Whittier Correspondence from the Oak Knoll Collections, 1830-1892, edited by J. Albree (1911). Oak Knoll was the name of Whittier’s home in Danvers, Massachusetts and we assumed that because one of the Clarke letters was featured in this book, it must have been part of the “Oak Knoll Collections,” at least in 1911. Searches for records using the name “Oak Knoll Collections” turned up nothing. Neither did searches in historical newspapers for accounts of the “Oak Knoll Collections” being put on the auction block or donated to other libraries, archives, or museums. The only information available about the fate of Oak Knoll indicated that the house had been demolished in 1959. Continuing the quest, the new strategy was to find a connection between Central Michigan University and John Greenleaf Whittier. 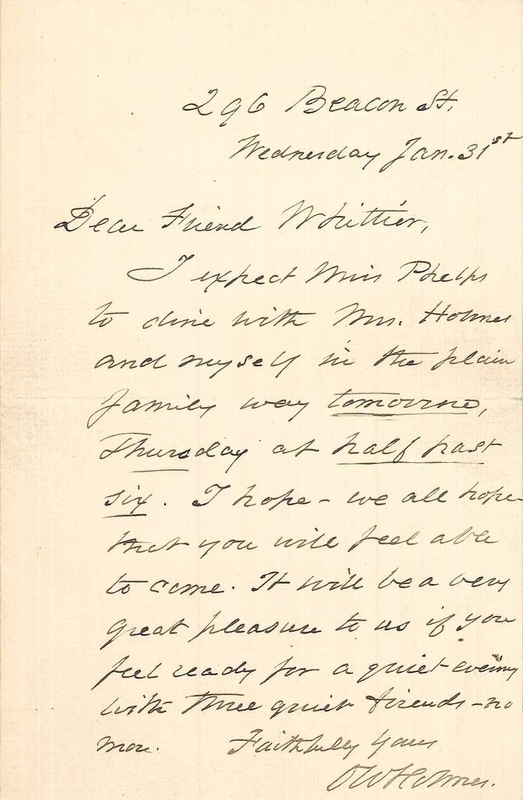 After some searching, it became clear that former CMU professor and head of the English Department, John C. Hepler was the major connection between Whittier and CMU. In fact, Dr. Hepler’s name is mentioned in the finding aid as the transcriber of many of the letters. Using this key word, Clarke staff searched the digital Central Michigan Life and found a story from July 1960 (p. 1, col. 3-4) about Dr. Hepler and his Whittier research. This story notes that Dr. Hepler met a woman during a bus tour of New England in 1953. She was a distant cousin of Whittier and she had, in her possession, several hundred letters from the Whittier estate. There was no mention of the woman’s name or her connection to Dr. Hepler. Despite the lack of detail, this piece of information was encouraging and the search continued for the golden nugget of information. This nugget was soon uncovered in the Clarke’s holdings. It brought the entire story of how hundreds of pages of John Greenleaf Whittier’s correspondence came to rest in Mount Pleasant – a letter from a Miss Marion McClench, an employee of the Michigan Department of Public Instruction, to Dr. Charles Anspach, the president of Central Michigan College, in June 1953, provided some details about the Whittier papers, which had belonged to her father’s cousin. 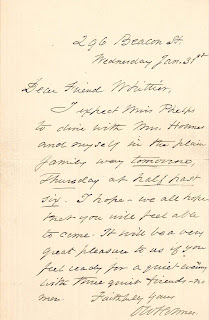 Details in the letter included notes about Whittier’s inkwell and sand blotter – which incidentally had sand in it from Gloucester, Massachusetts, a “highlight of Dr. Hepler’s New England literary tour for Central students” as Miss McLench put it. With this letter and accompanying newspaper clippings from the Lansing State Journal (January 21, 1951) and Michigan Education Journal (May, 1951), the staff found the answer to the mystery of how papers of such value to American literary and abolition history came to rest in Mount Pleasant. While it may have been by chance that Ms. McClench moved to Michigan and met Dr. Hepler, it is not a surprise that the Central Michigan College Library, and later the Clarke Historical Library, would be deemed an institution of enduring cultural value worthy of these documents.